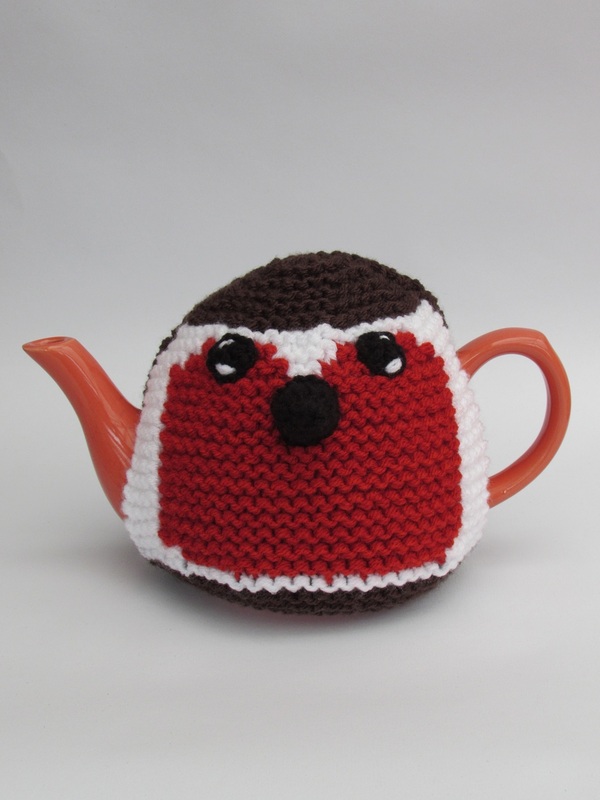 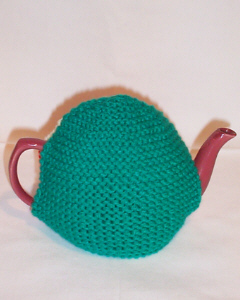 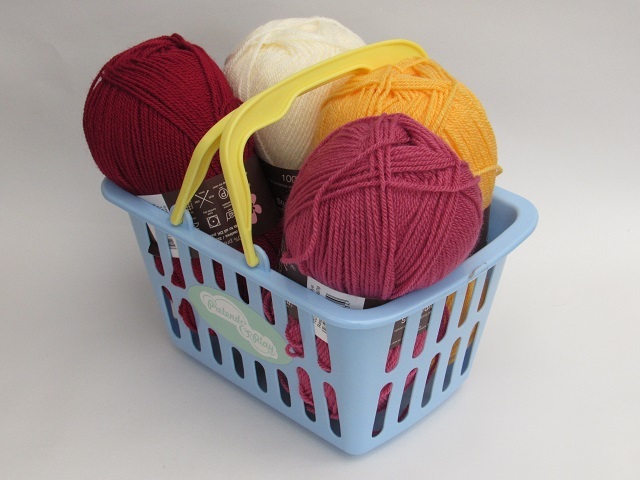 The Polly Parrot tea cosy is handcrafted from double thickness yarn for extra insulation. 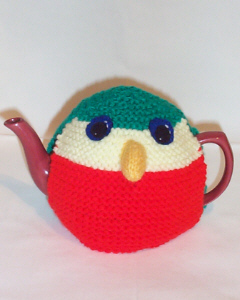 The Polly Parrot is made from red, green and lemon yarn. 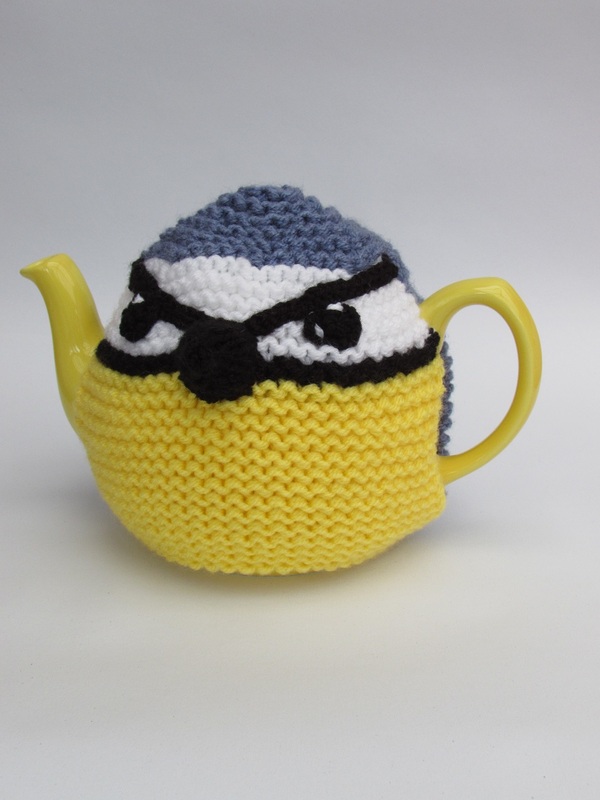 The Polly Parrot has a golden, knitted beak. Who's a pretty boy then? 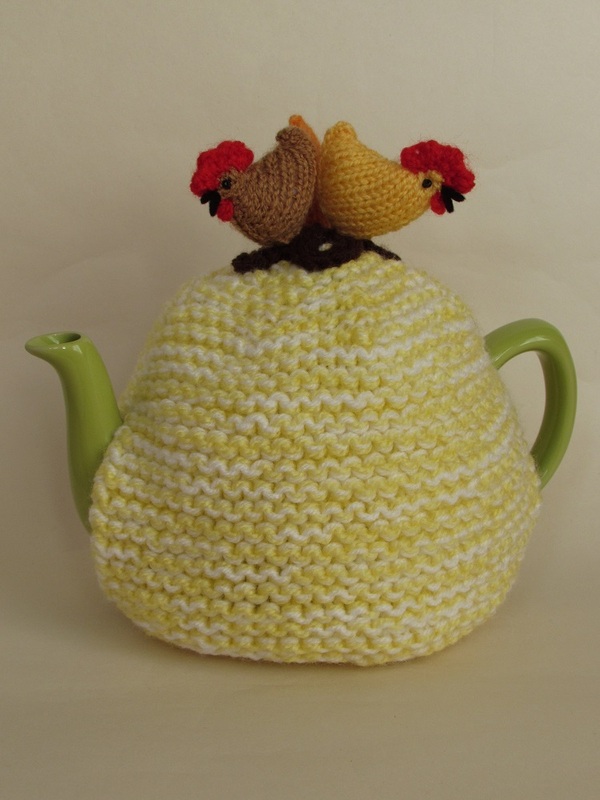 Polly put the kettel on, we'll all have tea!